ISLAMABAD: Despite been placed on the Exit Control List (ECL), departure of Zulfiqar Hussain Bukhari, aka Zulfi Bukhari to Saudi Arabia for Umrah is one of main issues being discussed in Pakistan. Caretaker Prime Minister Nasirul Mulk on Wednesday sought a report from the interior ministry on how Pakistan Tehreeki-Insaf (PTI) chairman Imran Khan’s close aide Zulfiqar Hussain Bukhari, aka Zulfi Bukhari, managed to leave for Saudi Arabia even though his name had been placed on the Exit Control List (ECL). MADINA MUNAWWARAH: PTI Chief Imran Khan comes out from plane barefooted in respect of purified soil of holy city Madin. The Prime Minister Office (PMO) informed journalists that the caretaker prime minister had taken notice of MrBukhari’s flight out of the country on Monday, on which he was joined by his party chief. According to some private TV channels, the interior ministry has submitted a report claiming that Mr Bukhari’s name was not on the ECL. Explanation sought from interior ministry that gave ‘onetime permission’ According to sources, the matter was also taken up by the federal cabinet onWednesday.The notice taken by the prime minister suggests that he had not been in the loop about the grant of a one-time permission to Mr Bukhari to perform Umrah. Mr Bukhari is being investigated by the National Accountability Bureau (NAB) for owning an off-shore firmthat was revealed in the Panama Papers. Subsequently, his name was placed on the ECL on NAB’s request. However, NAB was not taken into confidence when Mr Bukhari was granted permission to leave the country. According to a letter issued by the interior ministry, a one-time “permission” was given to Mr Bukhari for six days so he could perform Umrah. On Monday, a special flight flew PTI chairman Imran Khan, his wife Bushra Maneka, PTI leader Aleem Khan and his wife, and Mr Bukhari to Madina. MAKKAH: Imran Khan with his Bushra Maneka at the courtyard of Holy Grand Mosque. 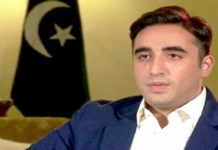 The flight had been delayed for an hour after officials of the Federal Investigation Agency (FIA) and immigration staff at the Benazir Bhutto InternationalAirport (BBIA) refused to allow Mr Bukhari on the plane because his name was on the ECL. The plane took off after an hour with Mr Bukhari on board. How it happened? Sources privy to the d e v e l o p – mentsaid Interior Secretary on the directives of caretaker Interior Minister Azam Khan removed Zulfi Bukhari’s name from blacklist, and allowed him to travel to Saudi Arabia. Letter issued by section officer (ECL) for granting permission to Zulfiqar Bukhari. was forced to allow Zulfi to board the plane despite being on ECL. The departure of Zulfiqar Hussain Bukhari to Saudi Arabia on Monday was a shocking development for the National Accountability Bureau as the anti-corruption watchdog was not informed why an accused on the Exit Control List (ECL) was allowed to leave the country. It is learnt that NAB was taking the issue seriously and was looking to respond to the matter. Interestingly, PTI spokesperson Fawad Chaudhry condemned FIA’s action and said: “The incident was all due to a misunderstanding by the FIA immigration staff as they had confused Mr Bukhari with someone on the ECL with a similar name.” He said Zulfiqar Bukhari was not a Pakistani citizen and had nothing to do with local laws. According to certain media reports, Imran Khan went to Saudi Arabia in a chartered aircraft that cost Rs800,000 per hour. He chartered a 10-seater aircraft, Challenger 604, of private aviation firm Princely Jet. The plane first flew to Lahore from Islamabad to bring Mr Khan’s family to Islamabad. MADINA: Imran Khan along with Zulfiqar Bukhari and two other friends at the Roza-e-Mubarak of last Prophet [PBUH]. Quoting Civil Aviation sources, the channel said that the total duration of Mr Khan’s flight was 13 hours with an estimated expense of around Rs10 million. The expenses include the fare of the aircraft as well as fuel charges, etc. However, in a talk-show on ARY News, PTI leader Faisal Vawda claimed that the jet was chartered by the party for the entire election campaign. His remarks irked PTI supporters who took to social media and tweeted against Mr Vawda whose statement they believed went against the PTI chairman.